With the ‘fixed mount cradle’ for the Blue Yeti microphone having its limitations such as being bulky and often requiring to be propped up to get the positioning right (well mostly) I have been on the lookout for a decent shock mount for the Blue Yeti, but it has been a long time come and after many months finally a decent (£25) and affordable shock mount for the Blue Yeti found at http://amzn.eu/6bd69jp . 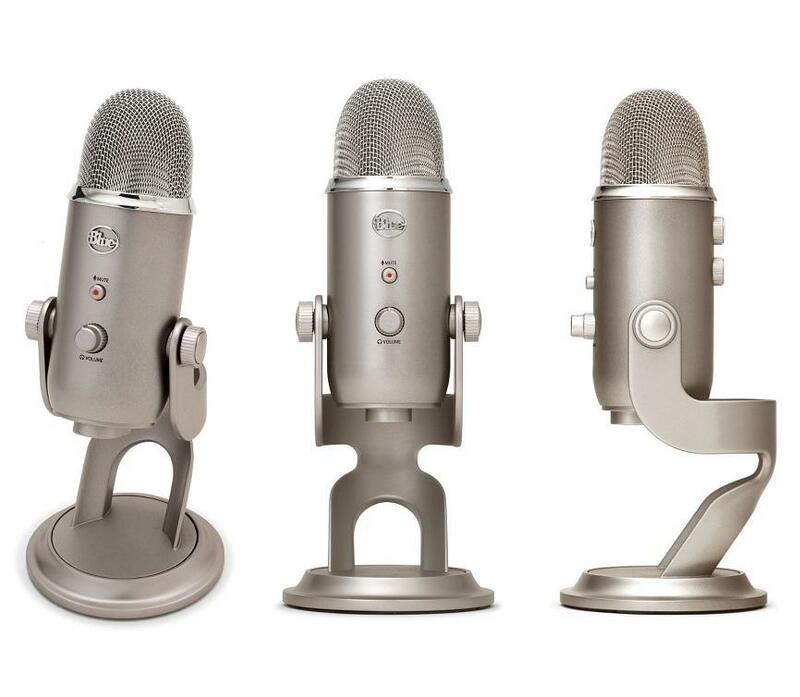 Now I purchased my Blue Yeti for a very handsome price of approx. £65 and there was no way I was ever going to purchase a mount in excess of that so point 1 is out of the question. I toyed with the idea of creating my own (point 2) and even drew up plans but never got round to it! Something specific needed for the yeti due to its non-standard fitting and needing to carry it’s weight (point 3) was also a concern for any attached boom (see later). The only solutions for an overcut fixing was either and new Yeti or as I have read on the web to use plumbing tape (PTFE) to ‘take up the slack’ and not have the Yeti drop off, thankfully I did not need this solutions. The Auphonix offering was getting great reviews (a cheaper plastic and a reasonable priced aluminium offering were available) but I hesitated and lucked out on the silver aluminium @ £30, then a rather elegant black version showed up for £5 less! a result – and most Booms are black anyway. So now an accompanying boom was required to be purchased – I was conscious of the weight of the Yeti but on Amazon was the recommendation for under £12 the Tencro Professional Microphone Boom for Blue Yeti ( http://amzn.eu/g4CTVSO ), specifically having the key point of being heavy duty designed for supporting almost all microphones up to 4.4 pounds / 2KG. Both are now fitted and I found that mounting my Yeti above the mount, rather than below, suited my rig better as I will be swinging my mic up and out the way often – kids can be too inquisitive! The difference between the original fixed stand against the dampening properties of the boom & shock-mount are excellent and given my setup prior to this purchase noticeably picked-up ‘shocks & knocks’ and caused me to be extra careful when recording to minimise disruption the cost @ less than £40 is a great solution and one that I cannot recommend myself if you want the best from your original audio recording with your Blue Yeti. I am loving the Blue Yeti. Not only a great sounding Mic but one that has far more features than anything in the same price range and below. Hear a quick comparison between the Samson C01U and the Blue Yeti here – http://vocaroo.com – it does not do the microphone justice, I certainly don’t regret the purchase. Mute button – so useful! The microphone has a tendency to either damage its own paintwork or that of the stand – if you look at second hand ones they mostly mention slight “mic vs stand” knocks (mine does but it on the stand. I think maybe a project for the summer would be to make a shock mount and publish the designs as a blog?